Let the Mudslinging Begin! 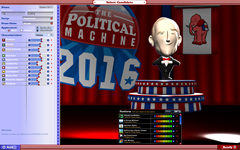 The Political Machine 2016 now on Steam Early Access! of becoming the next President of the United States. 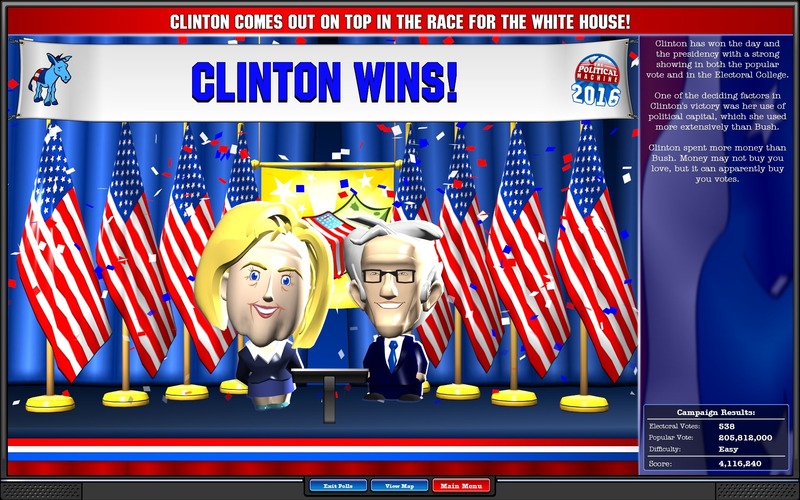 Play as more than 18 candidates including Bernie Sanders, Donald Trump, Hillary Clinton, and more! 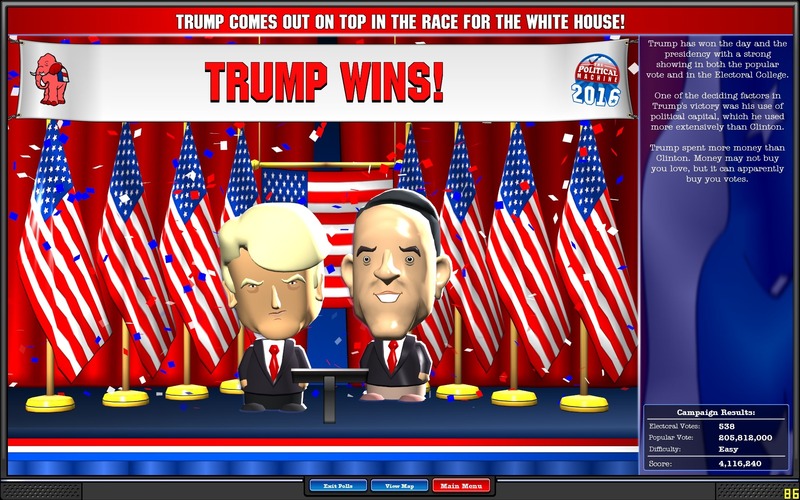 Not a fan of the candidates? 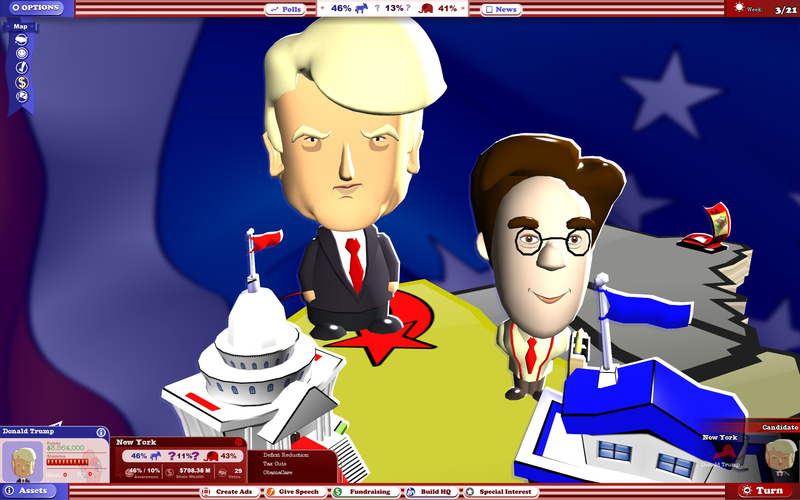 Create your own custom front runner and take to the campaign trail to out talk, outsmart, and out spend your opponent to win the heats and minds of America's voters and achieve victory! 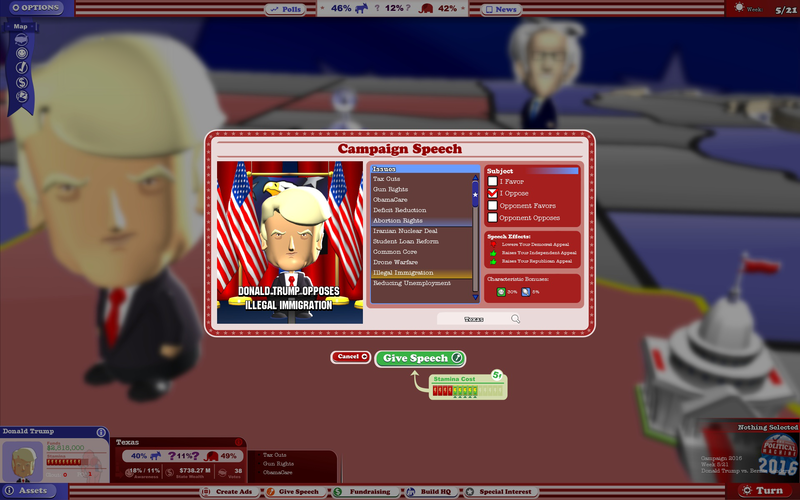 The game features new art and updated graphics, as well as new issues that are relevant to the current events of 2016. 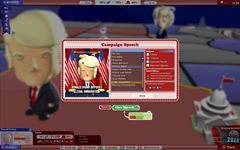 There will also be poll tracking, which will allow the player to monitor how candidates and issues are faring across the nation. 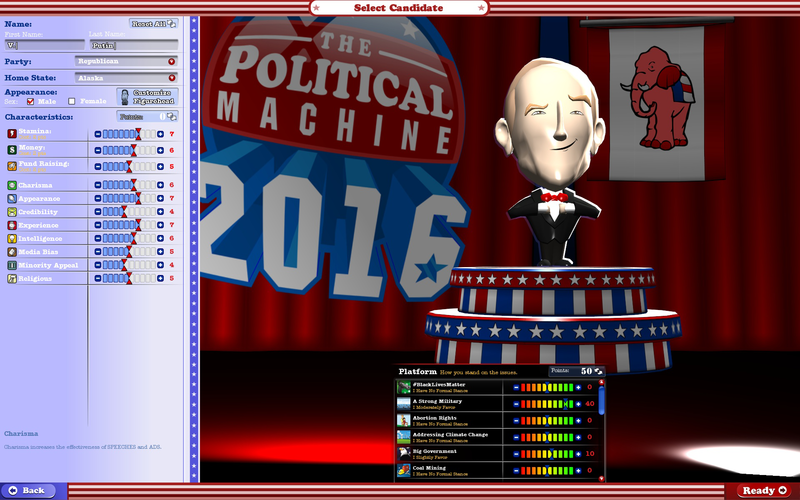 The Political Machine 2016 features updated political topics from across the United States. 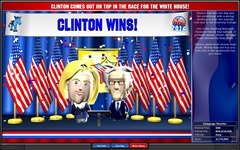 Dozens of national issues including the Keystone XL Pipeline, human trafficking, and the Iran Nuclear Deal have been added for the 2016 campaign season, with more updates on the way. Share the fun with a friend and buy the 2-pack! 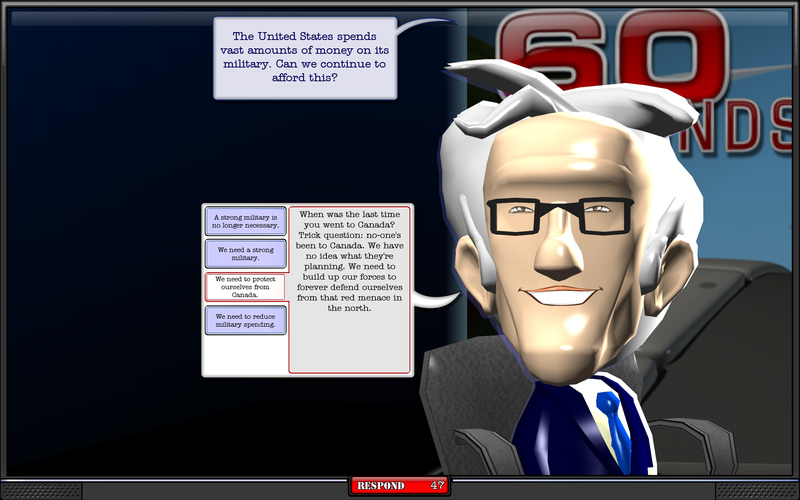 Own a previous version of The Political Machine? Get 50% off the regular price and upgrade to the 2016 version for $4.99 now! Can we mod like before? Syrian Refugees should be an issue. Any chance of a primary scenario, where you would compete against another candidate from the same party for the nomination? 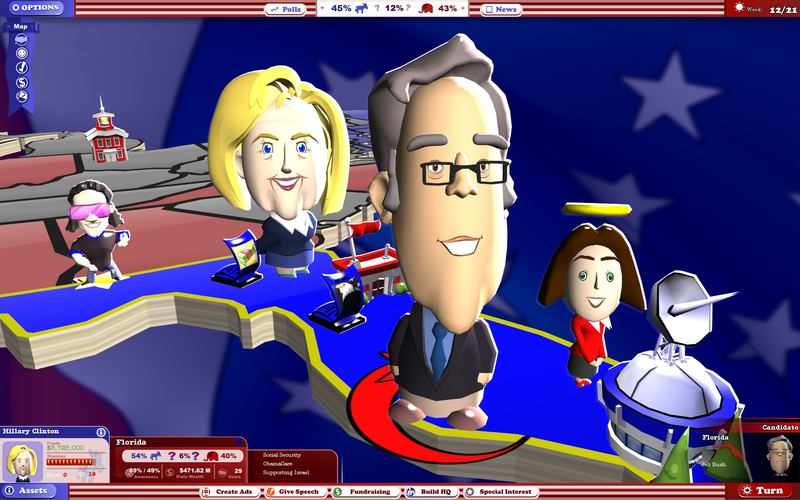 I made one for 2008, so it should be easy enough to do.